The Sant Foundation seeks to promote sustainable resources, sustainable communities, and the institutions that support them. The Sant Foundation is a private, family foundation started in 2015 to support the philanthropic interests of Roger W and Victoria P Sant. In addition to its own grant making, the Sant Foundation seeks to support the work of its larger affiliate, The Summit Foundation. The Sant Foundation seeks also to build investment strategies that enhance the programmatic work of both organizations. At the Sant Foundation we seek to manage our endowment so that it complements the programmatic strategies of the Sant Foundation and its affiliate, the Summit Foundation. We believe that such outcome-oriented strategies are a complement to, not a replacement for grant making. We believe that the size of the problems we seek to address is greater than the scale of philanthropic capital available to solve them; therefore, investment strategies that recruit commercial capital to solve problems at the proper scale are an important element in meeting serious social and environmental challenges. 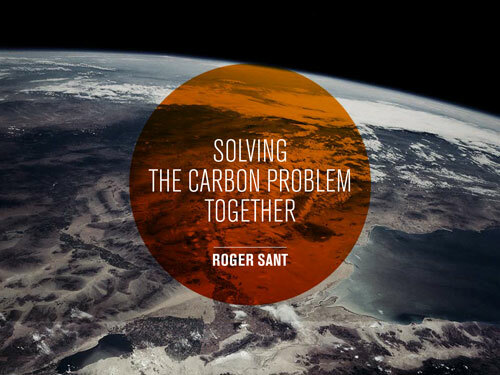 Drawing on the lessons of 40 years of policy making, environmental conservation, and global business development, Sant Foundation Co-Chair Roger Sant argues for a middle-path solution to carbon pollution, using a carbon tax to marry the value of voluntary and regulatory action with the market incentive created by placing a price on carbon. The Sant Foundation was founded as a private foundation in 2015 to complement the ongoing work of The Summit Foundation, which had been created by the same founders in 1991, as well as the founders’ personal charitable interests following the wind-down of The Summit Fund of Washington. In addition to its grant making activities, the foundation seeks to build a portfolio of financial investments that align with the programs and ambition of the Summit Foundation. The Sant Foundation expects that it will ultimately combine with the Summit Foundation.